As a hotel owner or manager, you are well-versed in the financial aspect of running a hotel and keeping your guests happy and willing to return. Everything from the sheets and the shampoo to your staff and the room keys represents a line item that must be accounted for in your budget. The communications system at your hotel is definitely an important expense that you must consider at all times. So, how does the installation and operation of a hotel VoIP phone system affect the business' finances? Here is a quick rundown of what you can expect from the use of this advanced technology. The infrastructure involved with a traditional phone system can be quite expensive to run, especially since separate networks are needed to process telephones and data. This adds to the costs of installation, management, and maintenance. A hotel VoIP phone system has a much simpler setup, which reduces the costs. Plus, a VoIP provider maintaining the infrastructure in the cloud will save the hotel even more. It is common for hotels to expand their services for guests by adding a dining area, fitness center, or similar location. With a traditional phone setup, this type of expansion must include the installation of extra cables, which adds to the cost of equipment and labor. Since VoIP operates through an Internet connection, however, a hotel’s VoIP phone system can reach anywhere that has an Internet connection. 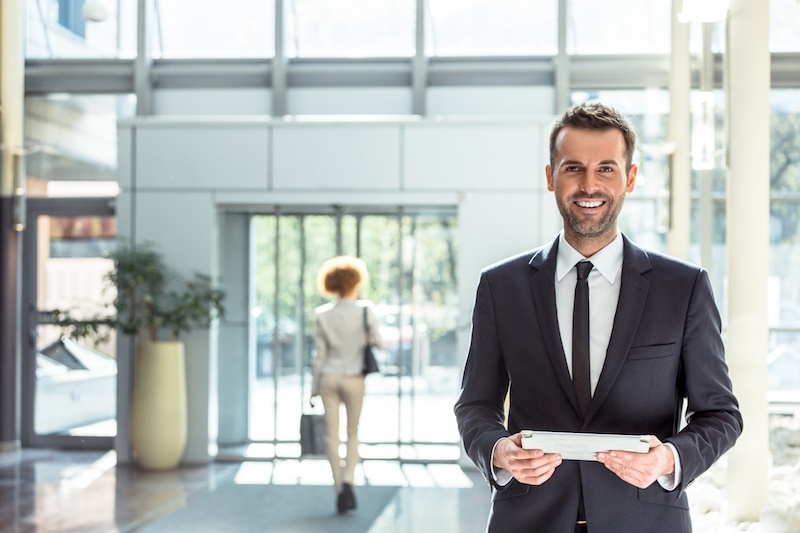 When managers or executives connected to your hotel travel far distances, money is often spent on keeping them connected with the hotel as needed. VoIP makes this a lot easier, as call rates are typically fixed regardless of the distance. Plus, managing group communications from a solitary source is easier, which can also be a money-saver. Hotels that provide consistent and reliable service for their guests are obviously going to be more successful than their less-than-stellar counterparts. The use of a hotel VoIP phone system provides a number of advanced features - like Find Me/Follow Me, Call Parking, and advanced analytics - that allow your staff to communicate more effectively with each other. This allows them to more properly handle guest concerns without the need for extended hold times and within a shorter frame of time once each call has been received . Plus, if you integrate VoIP with your hotel’s CRM system, guest information can be more readily accessed, thereby speeding up check-in/check-out and special requests. And a happy guest is more likely to spend money at your hotel, return to the same location, and recommend it to their friends. Your hotel’s VoIP phone system has a number of options available that you can offer as premium services to your guests. These paid communications services - such as voicemail services, instant messaging, outbound calling, and specialized business options - will provide more convenience to your guests while giving you an additional revenue stream. The installation and operation of a hotel VoIP phone system can help you control your finances while satisfying the needs of both your guests and employees. To learn more, contact the professionals at Phonesuite and we'll help you through the process every step of the way.